We made a family effort to put together a set of sandpaper letters for my lovely niece in Costa Rica. She will be turning 3 very soon and it's high time to start learning the sounds! The sandpaper letters are the first of the tactile language materials presented to a child in a Montessori 3-6 environment. They are meant to be practiced EVERY DAY with the child until they have mastered them. The genius in this material lies in the fact that they appeal to the child's senses and they isolate one concept. When presenting each letter to the child, the adult traces and says the sound as the child watches. Then the child traces and says the sound. This means that for each sound the child will use the sense of sight, the tactile sense, and the auditory sense- it is a bombardment of the senses with a single piece of information. 3 letters are presented at a time, and the adult is meant to say the sound the letter makes instead of saying the name of the letter. This will facilitate the emerging reading process later on. The letters are traced every time they are used to develop the child's muscular memory of formation of letters. When the child is ready to write with a utensil, their hand will remember how to make the letter because they have traced it so many times. I printed out a lower case alphabet (here) it is size 500 and the font is Primer Print. Primer print was the best font I had available on my computer- the b p q and d are a little short, so I elongated them later on when tracing. Meanwhile, my dad sawed out 26 little boards, 5 inch x 7 inch (approximately). Then I glued the letters onto the boards (using spray mount glue). My brother and I sanded the edges of the boards on the porch while my mom brought out hot tortillas with fresh cheese. Yum! When they were all done, we found a basket where they fit nicely. And then my mom had a lesson on how to teach them. Best karma in these sandpaper letters ever. Thank you for the PDF! Can't wait to make this for my little one. One question, when you said you elongated the b p q and d, did you elnogate them on the PDF or just as you cut them? Well, I'm off to have some warm tortillas and cheese as well! I just traced them a little longer on the sandpaper before cutting them. Even if you didn't do it they'd still look pretty proportional, but I thought they could be a tad longer. I've been looking for dimensions of the boards FOREVER!!!! Thank you so much! Now I can hurry up and finish my boards for my son who just turned 2! Wow! Those are so beautiful and what a team effort! I love that. I have always wanted to make these but never had a good idea of how to get the letters transferred to the sandpaper. Thanks! I try to make it for my classroom. I was looking for some information and was searching on Google for it. I visited each of the top 3 pages that came up but didn’t get any relevant result... I then luckily found your diamond message board in the dirt and thought to check it out. This is what I wanted! Cheers people at beautifulsunmontessori.blogspot.com and keep the fantastic effort up. 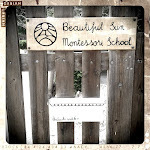 Fantastic site, I hadn't come across beautifulsunmontessori.blogspot.com before in my searches! Thanks so much. I am doing a blog post on I Love to Write Day (11/15/10 and will be featuring your great tutorial.